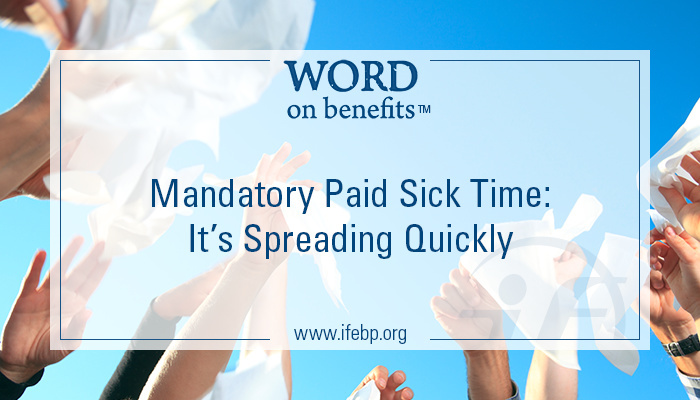 Mandatory paid sick time legislation is spreading quickly. Many states and municipalities have already legislated laws and ordinances. Employers need to keep their eyes on this trend. 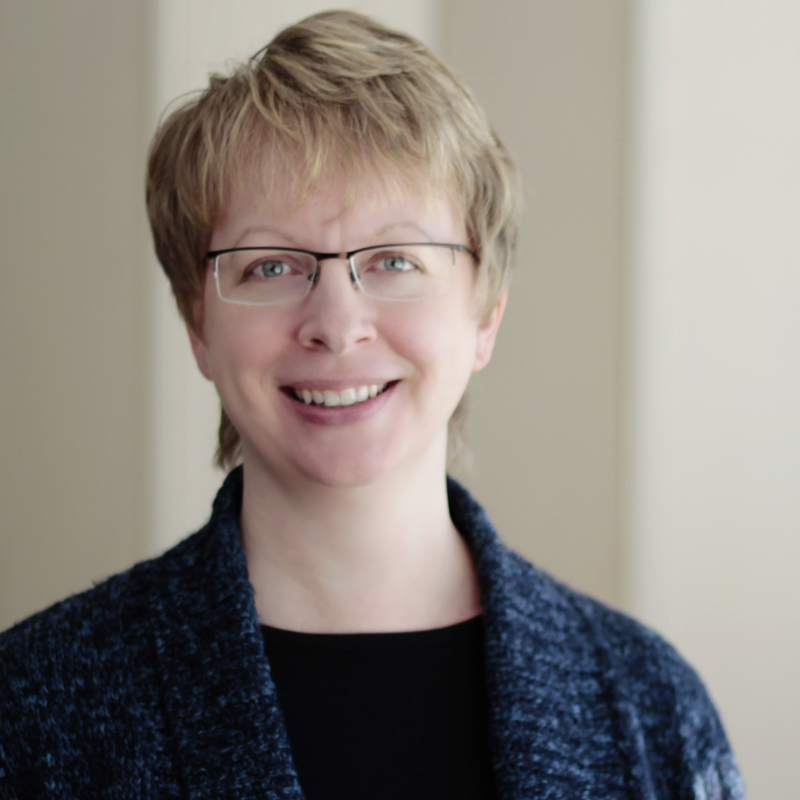 The International Foundation’s Employee Benefit Survey 2014 found 92.7% of its corporate members and 97.6% of its public (government) sector members offered paid sick leave, either as a standalone plan or within a paid-time-off (PTO) bank. Employers belonging to the International Foundation of Employee Benefit Plans are more likely than other U.S. employers to offer paid sick leave. However, the U.S. Department of Labor’s March 2014 National Compensation Survey found only 61% of private industry employees and 89% of state and local government employees in the United States had access to paid sick leave. That may explain why more and more states and municipalities are adopting mandatory paid leave laws. States with paid sick time laws currently include Connecticut, California, Massachusetts and Oregon. Cities include San Francisco, Oakland and Emeryville, California; Washington, D.C.; Seattle and Tacoma, Washington; New York City, New York; Philadelphia, Pennsylvania; and Newark, Passaic, East Orange, Paterson, Irvington, Trenton, Montclair, Bloomfield and Jersey City, New Jersey. The county is Montgomery County, Maryland. For employers already providing paid sick leave, the patchwork of laws and ordinances makes human resources and employee benefit professionals’ jobs even more complex. As one might expect, none of the rules are quite the same, and employers must make sure their own sick leave policies comply with applicable laws. Employers not currently providing paid sick leave may soon be required to do so. According to a July 2015 report from the National Partnership for Women & Families, states with active campaigns to enact paid sick days legislation include Alaska, Arizona, Florida, Hawaii, Illinois, Louisiana, Maryland, Michigan, Minnesota, Nebraska, Nevada, New Hampshire, New Jersey, New York, North Carolina, Pennsylvania, South Carolina, South Dakota, Vermont, Virginia, Washington and West Virginia.